According to Wikipedia, an injection molding machine, also known as an injection press, is a machine for manufacturing plastic products by the injection molding process. It consists of two main parts, an injection unit and a clamping unit. 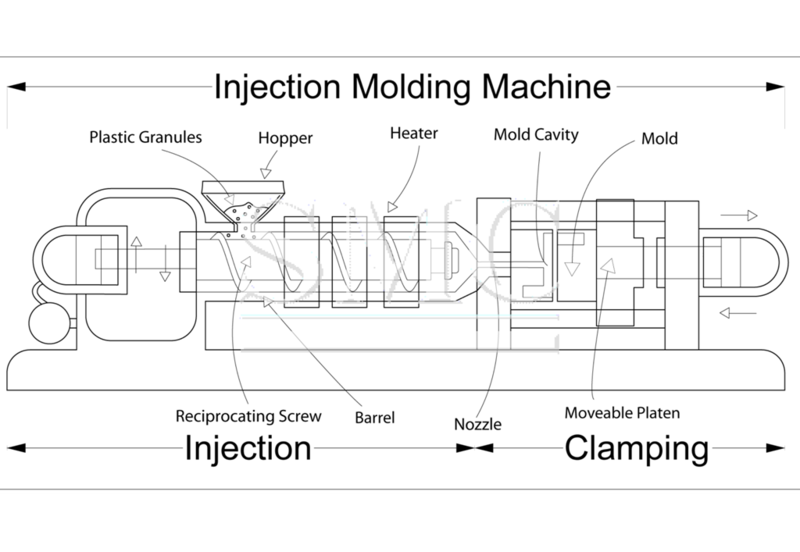 Injection molding machines can fasten the molds in either a horizontal or vertical position. The majority of machines are horizontally oriented, but vertical machines are used in some niche applications such as insert molding, allowing the machine to take advantage of gravity. Some vertical machines also don't require the mold to be fastened. There are many ways to fasten the tools to the platens, the most common being manual clamps (both halves are bolted to the platens); however hydraulic clamps (chocks are used to hold the tool in place) and magnetic clamps are also used. The magnetic and hydraulic clamps are used where fast tool changes are required. Machines are classified primarily by the type of driving systems they use: hydraulic, mechanical, electric, or hybrid. Hydraulic presses have historically been the only option available to molders until Nissei Plastic Industrial Co., LTD introduced the first all-electric injection molding machine in 1983. Hydraulic machines, although not nearly as precise, are the predominant type in most of the world, with the exception of Japan. The electric press, also known as Electric Machine Technology (EMT), reduces operation costs by cutting energy consumption and also addresses some of the environmental concerns surrounding the hydraulic press. Electric presses have been shown to be quieter, faster, and have a higher accuracy; however the machines are more expensive.